Revelo Electric Corporation is a Canadian company, founded in 2012, committed to creating original, beautiful and fun to use personal electric transportation solutions for modern living. The name Revelo comes from the synthesis of “Revolution” + “Velo (bike)”. Revelo designs and manufactures ultra-portable electric bikes with its innovative front wheel pedaling architecture. Revelo’s chainless e-bike platform is lightweight, compact, safe and easy to ride. 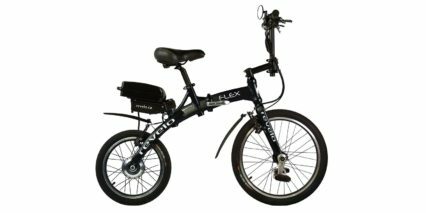 Revelo’s patented Dual Mode Crank (DMC) technology provides a comfortable cruising mode as well as an active pedaling mode when needed. Revelo believes that exciting fresh design thinking is the best way to inspire people to get engaged with sustainable and clean electric transportation. Revelo takes pride in its user centered approach to design. Rather than simply placing motors on conventional bicycles, Revelo e-bikes are reimagined from the ground up to provide the best ride experience and convenience for the way people live and play.